A few of these are questions are tricky. I’ll be impressed if you get them all right! I’m quite positive that all of my answers are correct in the view of the Starbucks headquarters. You walk into Starbucks and order a tall Holiday Spice Flat White. You sit inside the store, socialize with friends, and finish your beverage. Can you receive a tall shaken iced Passion Tea at a “refill” price? You walk into a Starbucks and order a tall Vanilla Flat White. You sit inside the store, socialize, and finish your beverage. 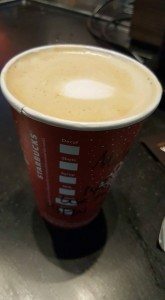 Can you receive another tall Vanilla Flat White at a “refill” price? You walk into the Roastery and order a tall Pantheon Blend III from the Clover. You sit and enjoy it. 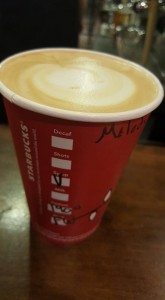 Can you order another tall Pantheon Blend III from the Clover at a “refill” price? You swing through your neighborhood Starbucks drive thru with your Grande cup from four or five hours ago. Can you get a Grande Pike Place Roast as a “refill”? You order a Venti Shaken Iced Passion Tea Lemonade. Can you get a Venti Shaken Iced Black Tea at a “refill” price, assuming you’ve stayed inside the store to drink your beverage? You order a tall Passion Tea Lemonade. Can you get another tall Passion Tea Lemonade at the “refill” price, assuming you stayed inside the store to drink your drink? You order a tall Pike Place Roast at 8:00 AM on your way into work. During lunch, after working a full morning, you return to the same Starbucks. Can you receive a tall Pike Place Roast at the “price” during this lunchtime visit to the same Starbucks location? You order a Trenta iced Passion Tea Lemonade. You drink the whole thing while sitting in the store reading a good book! (That’s a lot of iced tea!). Can you order a tall cup with a fresh hot tea bag and water and get it as a “refill” price? You order a Venti Java Chip Frappuccino. You sit in the store and play Words With Friends. Before you know it, you’ve consumed your whole Frappuccino. Can you order a tall cup with a fresh hot tea bag and water and get it as a “refill” price? You order a Venti Clover-brewed Aged Sumatra. You sit in the store and kill time on Twitter and Facebook. You have finished your Aged Sumatra! That was good! Can you get another Clover-brewed Aged Sumatra at the “refill” price? No. Because you’re trying to order something other than a iced coffee, hot tea, iced tea, or hot brewed coffee, there is no refill price available. No. The Starbucks Reserve Roastery and Tasting Room does not participate in the Starbucks Refill Policy. There is no “refill” perk ever at the Roastery. No. There is never a refill price available when you are using a drive thru. No. Because you’re trying to order something other than a iced coffee, hot tea, iced tea, or hot brewed coffee, there is no refill price available. An iced tea lemonade is not the same thing as just an iced tea. No. You did not follow the “same store visit” rule, so the lunchtime Pike Place Roast is not available at the “refill” price. Yes. When you stayed in the store, and you’re switching to anyone of these 4 basics – iced coffee, hot tea, iced tea, or hot brewed coffee – it should be offered at the refill price. Yes. Same reasoning as number 8. No. 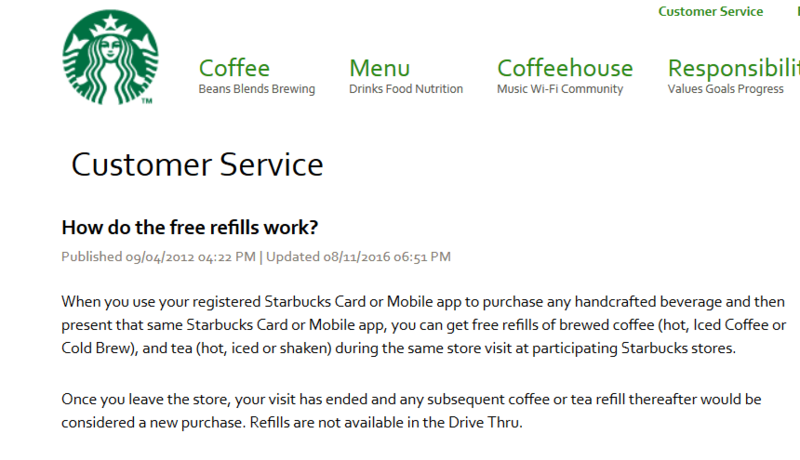 You cannot get a Clover-brewed Reserve coffee at a refill price. You could ask for a Venti Pike Place Roast (or whatever happens to be on the brew) at the “refill” price. Holiday at Starbucks is in full swing. I wasn’t sure about 8 and 9 because they were not “same size” which will trip some up (I realize it’s moving down in size for the refill instead of up). So on the issue of cup size, if you order a doppio con panna can you get an iced or hot coffee/tea refill afterward? (they are usually served in short cups). If you order a short coffee, then technically you cannot go up a size for a tall iced tea. You can’t order a size larger than what you started with. The doppio con panna is an area of ambiguity. There are a few areas of ambiguity: The patio of the store – outside, but still on the property, so it should be a “yes” but sometimes it’s hard to tell when you’ve “left the store” depending on the design. Another area of ambiguity is Nitro Cold Brew. I think the policy is no refills on Nitro Cold Brew, but normal Cold Brew is considered eligible for a refill. All true to policy but the reality is that pretty much 100% of the time you can get a free refill of coffee or tea if you ask because of our just say yes policy. Since we started this i know of one time that one of my partners refused a refill. And that was because the customer was bringing in his iced tea cup for weeks in a row so we marked it and denied him the next time. @Craig – You make excellent points. I tried to include a few “no” scenarios in with “yes” scenarios in the questions. You probably won’t meet a stronger customer advocate than me. If Starbucks were about the Barista-policeman experience, it wouldn’t be Starbucks (and you’d probably pay less, LOL). Any retailer can throw ingredients in a cup, and hand it to you with a firm yes or no. 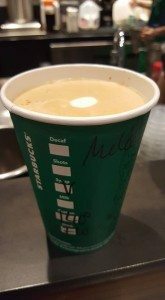 Only Starbucks tries to exceed the expectations of their customers with great experiences. The truth is – to be totally honest – if I were a partner, I’d be perplexed what to do in those situations that clearly don’t fit the refill policy. Sure, I will resolve ambiguity in favor of the customer. But it would be so hard for me to tell a customer at the DT “no that’s not a refill” but yet, I do really think that is the right answer. so here’s a question… the policy starts by saying that you order a “handcrafted beverage” and gives you a free refill of “brewed coffee.” what if your first order is a brewed coffee? can you get a free brewed coffee refill? i don’t usually sit in the store to drink, and even when i do i don’t try to get a free refill primarily because i don’t want too much caffeine. but my typical order is just a tall dark. if i wanted to, could i get a free refill? Yes if your first order is brewed coffee, you can a free refill of brewed coffee. You have to stay in the store to get the refill though. You can’t leave or come back or go through the drive thru. This is excellent! I work from home, so that means I spend a lot of time working at Starbucks. I always just assumed that to get a free refill–which I do fairly often–I had to get the same beverage as before. If I got a regular hot coffee before, I’d be eligible for another hot coffee refill. If I got a special or season drink, I would NOT be eligible for a refill. Also, I’ve never been sure on their policy regarding multiple refills, but that hasn’t stopped me from asking, and I’ve yet to be turned down. I ordered a Medium Berry Refresher with Passion Tea at the Starbucks/Macy store#16153 was told I couldn’t get a refill. Why is the refill free but still referenced as “refill price?” I believe I’ve been charged like $.50 or some other discounted price for a refill. Is that incorrect? And if a Starbucks is in a grocery store, are you allowed to walk around and shop and still considered in the store and can get a free . refill? Is the refill policy only valid in the US or globally? Here’s a situation you didn’t cover which we ran into tonight in Pickering. 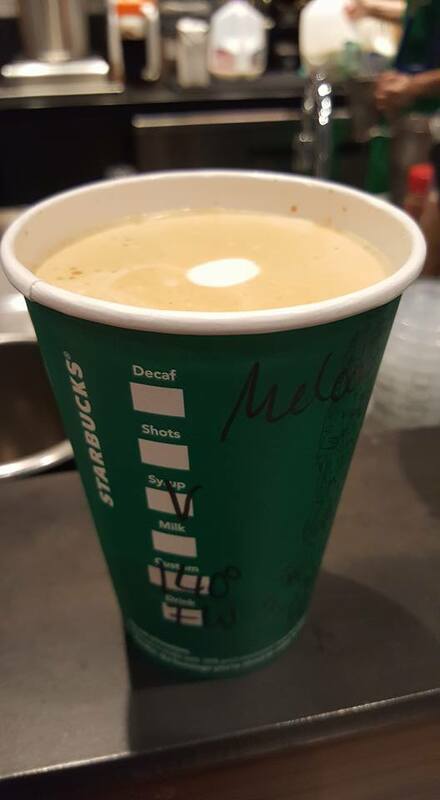 In the past when I get a free drink (birthday or redeem 125 stars), I have been able to still take advantage of the refill policy (so, say, I get a Venti Cascara Latte as my reward, then after finishing it I go back and ask for a Venti Komodo Dragon, which is a regular brew). Tonight my wife tried this and was told that free drinks no longer qualify for the refills. Any word on this? This is a US policy, as far as I know. Tex – That’s disappointing. Why in the world baristas turn into refill police, I don’t know. It sounds like your barista was making up things. The language of the refill policy was tweaked again in Dec – Making it more clear that it is regardless of original beverage. However the words about “purchase” are unchanged. Using a reward is still a purchase. You’re paying via a reward. 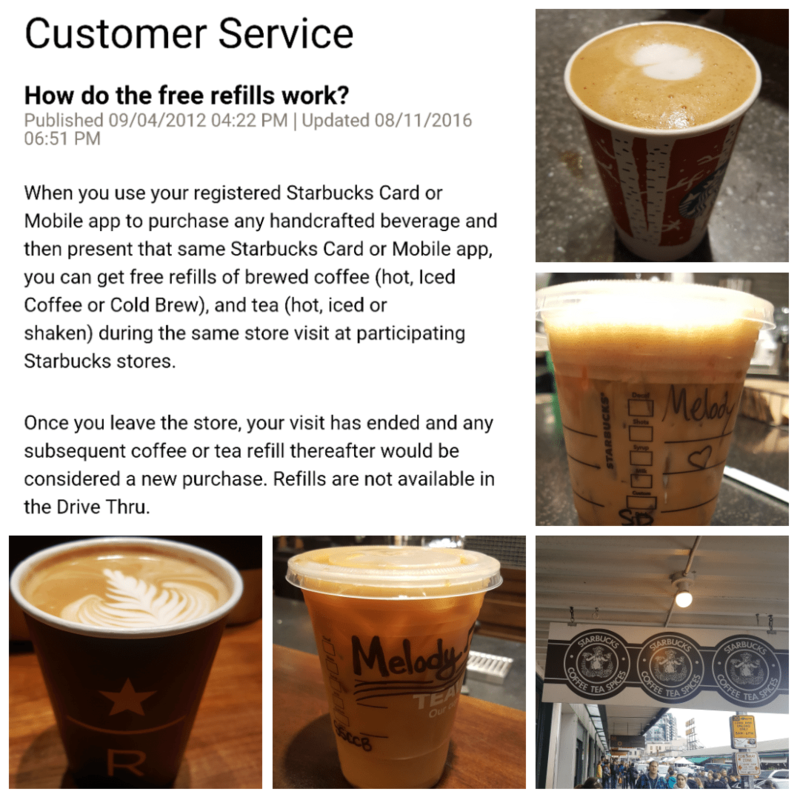 If Starbucks wanted to exclude reward purchases, they’d say that in the refill policy. I’m sorry that happened to your wife. It’s not worth it to vex a customer over something that costs a few pennies. That Starbucks customer is likely spending lots over time, and spreading goodwill too. You were right, customer service credited my wife’s account $5 and said “You can get a Free Refill after using your card for any kind of purchase”, which is what you said all along. We still are at a loss as to where that Partner heard of such a policy change. To get a tea refill do I have to take my cup with the used teabag in it? Thank you for clearing up the “free (brewed coffee) refill after an in-store reward drink” situation; I’ve had this question for awhile. Not that I *expect* to be challenged by a barista, but now I know how to explain the policy to him/her should it happen. Thanks! For any refill you need to present your empty cup. For a tea refill they’re likely to dump the used teabag for you, or might just dump the used cup and bag and use a new cup for your refill. The barista will usually ask “same cup OK?” and to avoid waste I always agree (assuming same temp of drink, hot vs cold). The baristas at my local store don’t even ask anymore because I’ve been consistent, they just go on and refill the used one. A bit of thought required, but I aced it.